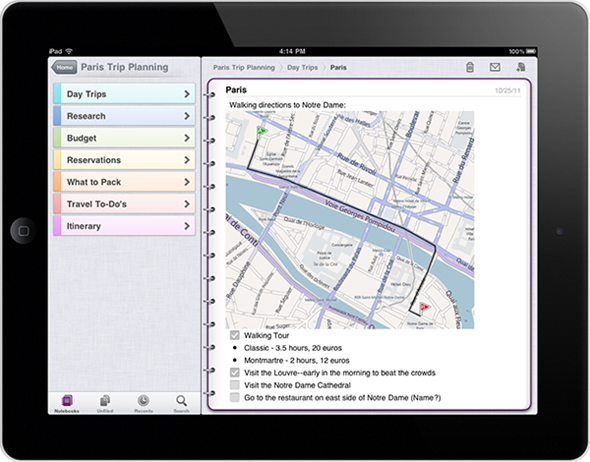 Microsoft OneNote For iPad Arrives On The App Store – Download Now! Microsoft today gave their OneNote iOS app an update to version number 1.3, and in the process also added iPad support to its note-taking application. The app, which has been available on the iPhone and iPod touch for a while now, finally comes to the larger screen device that most would say is ready-made for something like a note-taking app. OneNote now goes head-to-head with Evernote, which also offers both iPhone and iPad versions of its own note-taking and syncing application. In a blog post to announce the update, Microsoft’s Michael Oldenberg admitted that iPad support was something that many OneNote users had been requesting. Oldenberg said that “A recurring request from our customers has been for a version that can be used more easily on the iPad’s larger screen.” The real question should perhaps be: why did it not get an iPad version at the outset? Microsoft’s OneNote allows users to take and edit notes on the iOS device of their choice, and have any changed synced back to the desktop or presumably forthcoming with Windows 8, Tablet PC app. Microsoft will be pushing Windows 8 on tablets when they begin to appear next year, and it will no doubt want its own note-taking app on there as soon as possible, just as it did with the original OneNote app when Tablet PCs were around in the 1990s – not that it really helped that time around. Microsoft OneNote for iPad is a note-taking app for capturing all of your ideas and to-dos on the go, brought to you by Microsoft Office. The addition of iPad support is not the only change in OneNote 1.3, either. 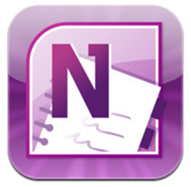 Microsoft’s updated OneNote app is available from the iTunes App Store now, and is free. Simply head over to this link to download.